This weekend, I opened up my winter sown seeds and discovered…not much. The cabbage and broccoli were puny, the tomatoes and peppers non-existent and the herbs barely sprouted. 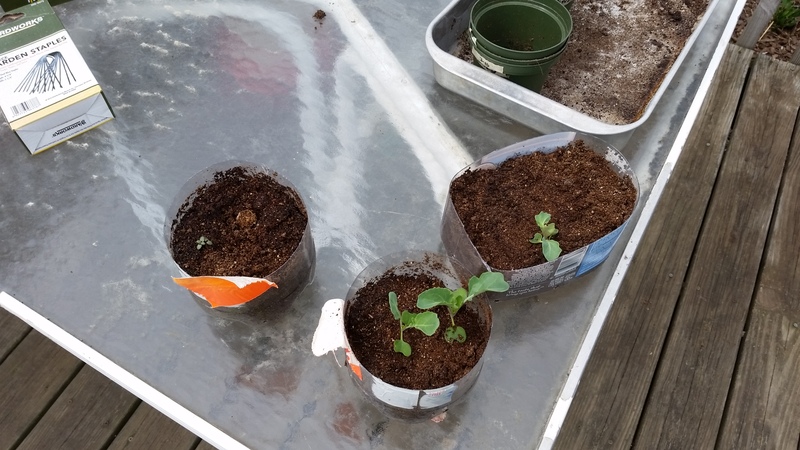 Cabbage and broccoli…sage on the left. I was sad and quite frustrated. I spent quite a bit of time making my mini green houses, drilling my holes and planting my seeds. So many blogs and fellow gardeners have had such success with this method. Did I take the lids off too soon? I don’t think so. I waited until early April to remove the lids and we did not have another frost or near frost after that. Did the soil get too wet? I think this may have been part of the issue and a big reason why many of the seeds didn’t even sprout. The greenish moss/mold looking stuff I found may just be algae, but it is a sign that the soil is getting too wet and the seeds are drowning. It may be that I didn’t drill big enough drainage holes. Did I use the wrong containers? Possibly. 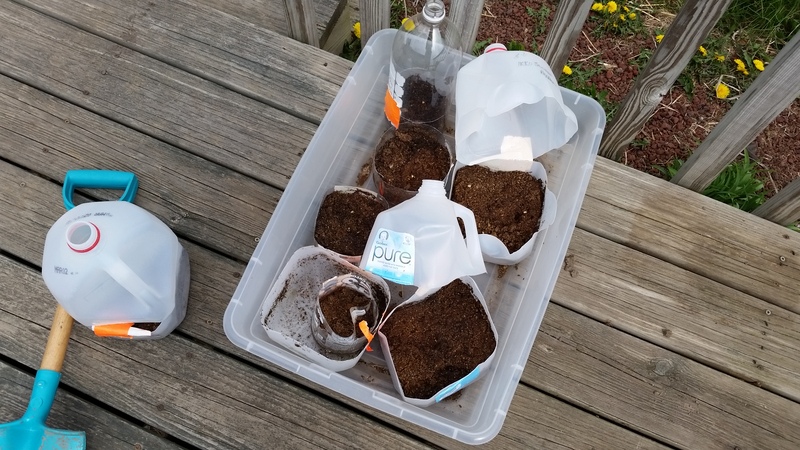 The seeds that did sprout were in clear 2-liter bottles and milk jugs that were more transparent. The clear containers allowed more sunlight to penetrate, and worked more like an actual greenhouse. Did I let the soil get too dry? Should I have opened the tops on those really warm days? Were the seeds too old, affecting the germination rate? In all my research, these are a few common mistakes, but most of them happen to the sprouted seedlings and do not affect the germination. Luckily, this was an experiment and I did not rely on this method for starting ALL my seeds. I started more tomatoes and peppers under grow lights in the basement. Even though I’m disappointed at the failure of this method, I’m not going to completely give up. I’m going to try it again next year, but focus more on those cold-hardy annuals. I’m going to drill bigger holes for drainage and make sure to take the tops off on really warm days. I’m going to make sure to use seeds that have not “expired”. And…I’m going to try another experiment. Ray remembers seeing a sea of milk jug tops in his grandma’s garden in the winter, and I remember seeing the same in my babysitter’s garden when I was younger. I didn’t really understand what she was doing, and I didn’t think to ask why. They were using mini greenhouses, similar to row covers and starting their seeds directly in the ground. 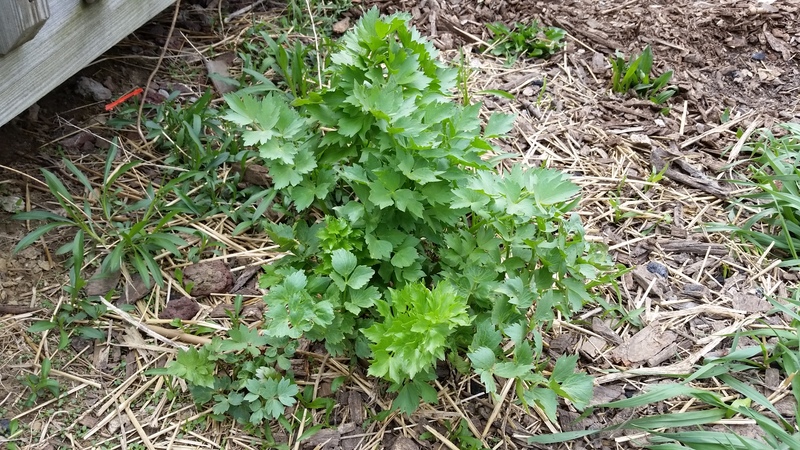 I see lovage and chives already growing in my garden. Volunteers from last year. I see cilantro sprout, tomatoes take over and dill grow into a forest. I see plants we let go to seed sprout up, stronger and more aggressive than the seedlings we start, baby and transplant. 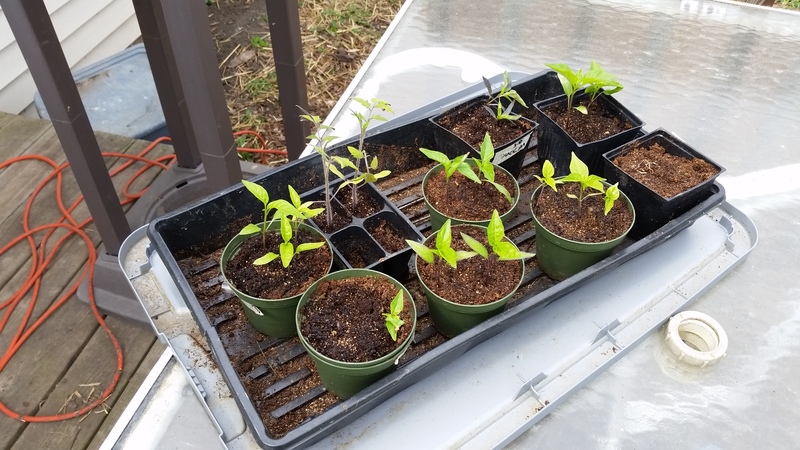 I’ll save my mini greenhouses and give it another try next year, but this time…I’ll plant the seeds in the ground and cover them with the tops. This entry was posted in A to Z Blog Challenge, Education, Garden Stories, Life, Permaculture, Poetry, Writing. Bookmark the permalink. Me too! I try not to get too discouraged with things that don’t work out as planned in the garden…and anywhere else in life. Every failure is a chance to learn, no matter how frustrating. Thank you for stopping by!